This week at 52 Christmas Card Challenge, the Design Team is looking for a card based on our Sketch. 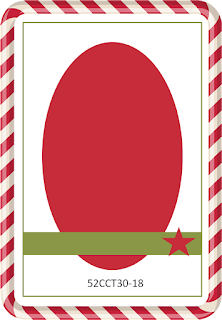 I created my card with my new dies from Creative Expressions – Build a Snowman and Let it Snow. I started by die cutting all the pieces I wanted for my card, then arranged the design. I added ink around the outside of the center piece die by Spellbinders, arranged my snowman and lantern and added the sentiment. Please join us each week.